Dr. Ron Simmons arrived in Washington, DC in 1980. His leadership of Us Helping Us, People Into Living, one of the largest Black non-profit AIDS organizations, is one of Dr. Ron Simmons' greatest contributions to the local gay community. In addition, Simmons has made major contributions to the Black gay arts renaissance of the 1980s and 1990s in Washington, DC as a photographer and writer. Once settled in DC, Simmons became part of Blacklight, contributing his photographs, under the pseudonym Butch, layout skills, and writing freelance articles. He was soon involved with the ENIKAlley Coffeehouse artists and performers, moving with them to dc space in the mid-80s. When Marlon Riggs came to DC to film Tongues Untied, Simmons became the project's principle photographer. As AIDS gripped the local gay community, Simmons volunteered as a buddy for Whitman-Walker Clinic. A lifelong interest in holistic health led to his involvement with Rainey Cheeks' Us Helping Us (UHU) project in the early 90s. In 1991, he went through training with Us Helping Us and in 1992 Cheeks recruited Simmons as executive director for the fiscally-challenged organization. Within two years, Simmons had put UHU on a firmer financial footing and secured its first independent location at 819 L St SE. As Us Helping Us grew, Simmons led it through several re-organizations. In 1997, he led the group to embrace a new role in HIV/AIDS education and prevention, in addition to its established programs for HIV positive Black gay men. 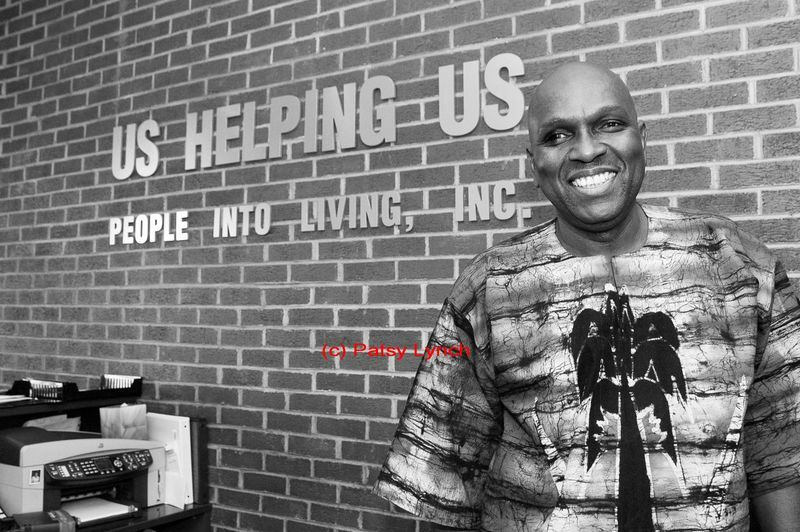 The organizational strength and fundraising ability that Simmons brought to Us Helping Us enabled it to become the first independent Black AIDS group to own its own premises. Simmons is a national leader in AIDS education and outreach to African-American communities.